Have you ever texted me? And have I ever texted you back? 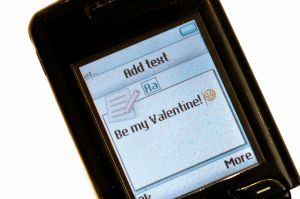 Because if you have, you know about my texting problem. My texting problem is akin to–no, stems from–my writing problem, which is akin to–no, stems from–my talking problem. Have you ever talked to me? Because if you have, you know about my talking problem. Which is: I can’t seem to stop. And now, I can’t stop texting. Short Legs = forces me to wear high heels on Sundays, which I would so not bother with if looking like a hobbit at church didn’t bother me so much. Big Mouth = forces me to write, which I would so not bother with if gabbing nonstop in peoples faces didn’t scare them away so much. Hey [insert your name, in case you were unsure who the text was addressed to] !!! How are ya today? Feeling better, I hope. I miss you!! We SO need to get together soon! How’s ur cold–better, I hope! And how’s the fam? Good, I hope! [I hope for a lot of things in my texts. I believe it exudes an attractive optimism.] Give [insert your son’s name here] a hug for me–he is SO darling!–and tell him Ethan wants to have him over to play! Let me know when a good time is for you–we’d LUV to have him anytime! But here is the problem in replying with yes: all it does is convey information! Since when is that the point of communication? What about conveying emotion and affection–not to mention developing Setting, Theme, and Plot? What if you read my emoticon-less yes and think–heaven forbid–that I’m not happy and smiling while I’m sending it? And what if, when I respond with that emoticon-less yes, you then respond with an emoticon-less K? I’ll worry all day that you’re mad at me. And worse, what if, after receiving my one-word answer, you feel no need to belabor the issue and don’t respond (gulp) at all? Me: Long response asking about his day, his job, his health, and his spiritual development. At least five questions are posed, all with love and tender care. [And lots of emoticons.] I eagerly await his answers. The bell finally dings. Hmph. I punch the end bar, throw the phone down on the couch, and get on with my day, shaking my head and rolling my eyes. No wonder nobody likes him. Winner of the BigBig Giveaway!! First: Did putting “BigBig” in front of “Giveaway” trick anybody into thinking it was, in fact, a bigbig giveaway? No? Shoot. But it is my first giveaway ever, and that alone merits the two exclamation points rendered. And truthfully, I think any book given or received–but most importantly, read--is a BigBig Deal, for obvious reasons that I’ve already beaten my poor readers over the head with many, many times. (Thank you for taking it, poor readers. I know I don’t deserve you.) Now that I’ve thoroughly disclaimed whatever-it-is-I’m-disclaiming, I’m happy to announce that the BigBig Giveaway Grand Prize Winner is….Rachel Short of Salem, Oregon! 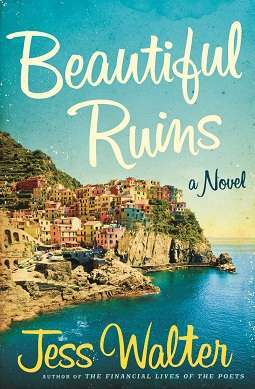 For her brilliant answer of Beautiful Ruins by Jess Walter. I have one more book I’m going to ask you to read, and then I’ll silence myself on books for awhile–this is a blog, for Pete’s sake, not a Lit class. (Oh, you thought it was? Cool. Your essay on “Why I Want a Used Food Dehydrator” is due by the end of this post.) My faithfuls, mis vidas, before you go get your roots done or eat another Skinny Cow ice cream bar (you’re eating one now, aren’t you? ), I beg you to jet over to the library and check out A Girl Named Zippy by Haven Kimmel. You will love this book. You will love Zippy. You will love your childhood, all over again. This book’s actually been around for awhile; it was published in 2002, and I only remember that because I first heard of it while sitting on the couch nursing my second baby and watching the Today show. (I could cry for the simplicity of those days.) An acclaimed author was asked what her own favorite, current book was, and she promptly answered “A Girl Named Zippy.” She described the book as “a shot of pure joy,” and twelve years later, having just finished the whimsical memoir, I have to agree. A Girl Named Zippy is funny and quirky and original, and it is also exquisitely written. It is about an ordinary childhood in an unremarkable place and time. Come to think of it, A Girl Named Zippy is the perfect literary antidote to The Triple Package, as Zippy’s parents espouse a parenting philosophy diametrically opposite to that of Amy Chua. Read Tiger to motivate you, then read Zippy to comfort you. Then read my blog so we can talk about them both. A Girl Named Zippy is funny and quirky and original, and it is also exquisitely written.